When we decorated our hallway, it was a really hard long job. Aren’t all hall, stairs and landings! At the time I didn’t really add any extras to it, and make it look pretty. 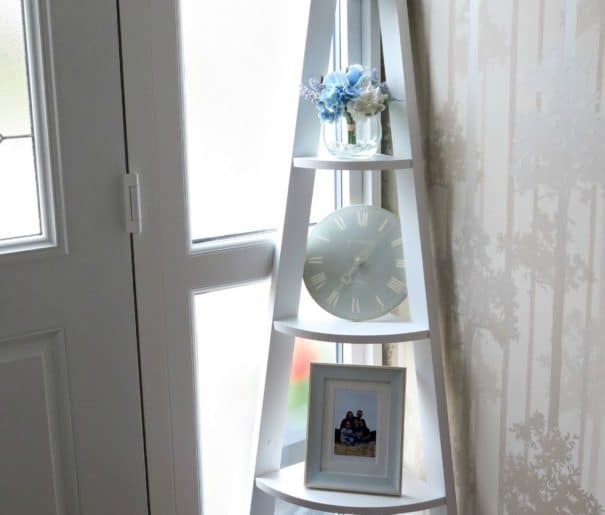 Matalan got in contact with me and asked if I fancied styling on of their Quinn Corner Bookcase in white, I knew straight away where I was going to place it, the hallway! When it arrived it came flat packed, and looked like this. It took hubby about 10 minutes to put together and was simple, although he did say the alan key was a bit small, which made it a little more difficult at times. 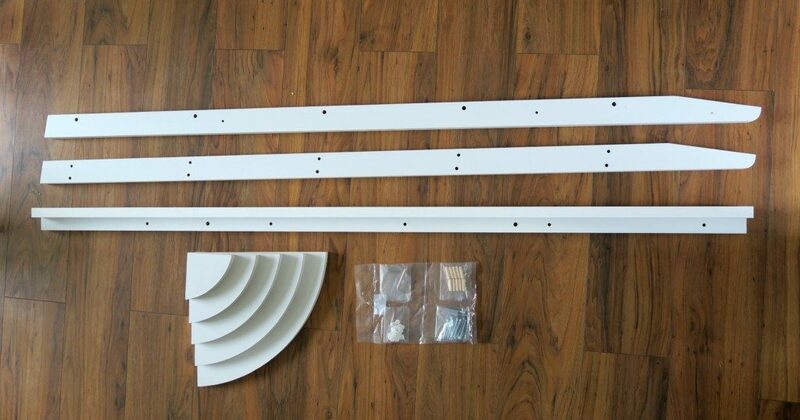 The dimensions of the Quinn Corner Bookcase are, height 175.5cm, width 39cm and depth 39cm. I made sure I measured this before ordering, so I knew that it would fit nicely in the corner, by the front door. As you can see I haven’t used it as a bookcase, no books in sight! 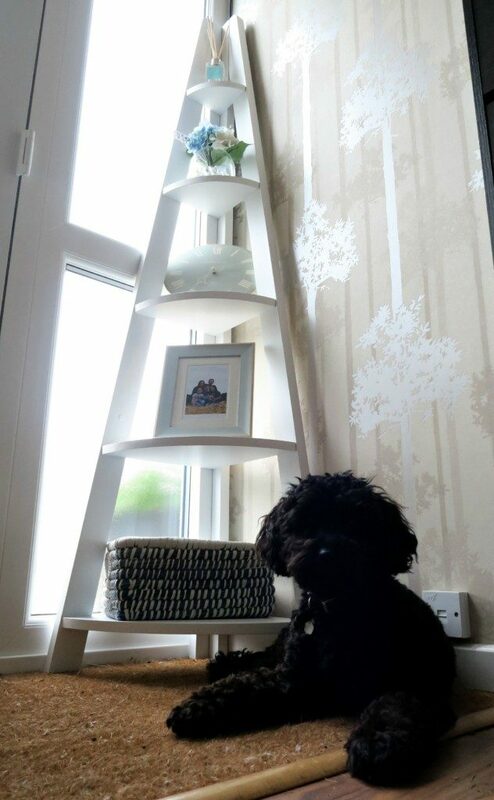 I have placed some ornaments on each shelf, I wanted to add a little hint of colour, as the walls are very neutral. I really feel it gives a little interest to the hallway now. Even the kids said they like it! Number 1 shelf: It is a small skinny shelf, so is perfect to place a reed diffuser, I have all our shoes in the hallway so it can get a bit stinky. I hate walking in and it being smelly. So I am looking forward to now walking into a nice smell! Number 2 shelf: Small faux flower arrangement, just big enough and softens the shelves. 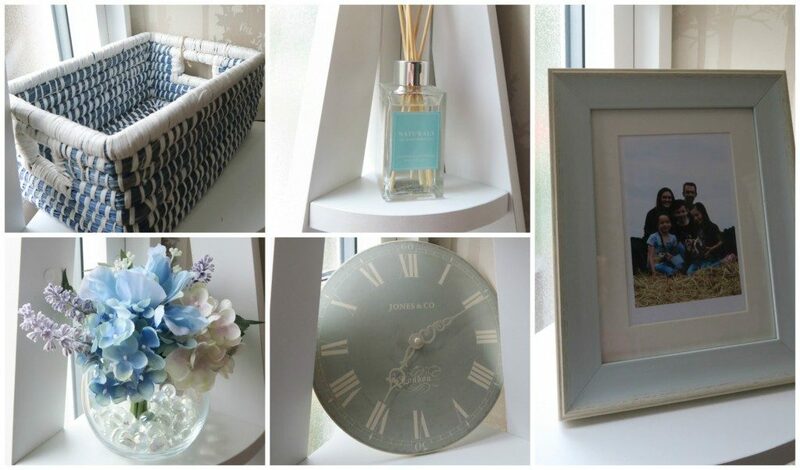 Number 3 shelf: Duck egg blue clock, now this is really handy to have! Each morning we never know the time as we walk out the door on the school run. Number 4 shelf: A frame with blue tones to it, has a family picture from our Me and Mine Project. Number 5 shelf: A little basket with blue colour tones. I am not sure what to put in this one yet, I was going to pop the dogs leads ect in it to grab before we leave the house. However, she decided that was too close to her level and tried to tell me it was time to take her for a walk! Any ideas what I could pop in this one? 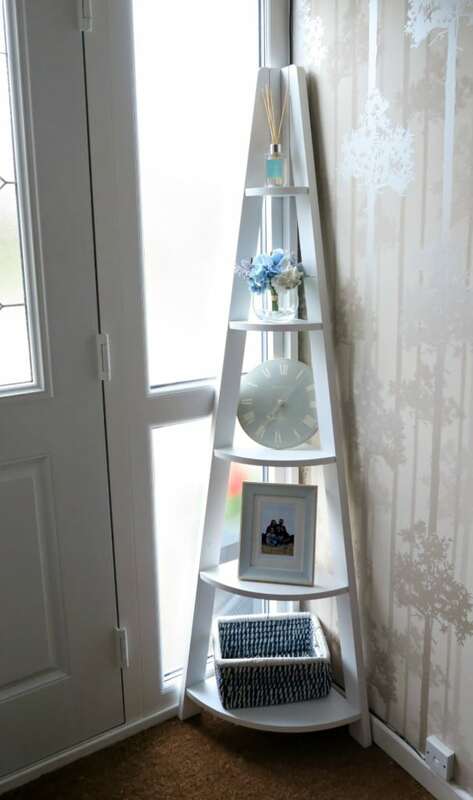 I think this Quinn Corner Bookcase is really versatile, and you could style it in so many ways. If you wanted you could just fill it with books! *We were sent the Quinn Corner Bookcase for the purpose of this review, however, all words and opinions are honest and of my own. 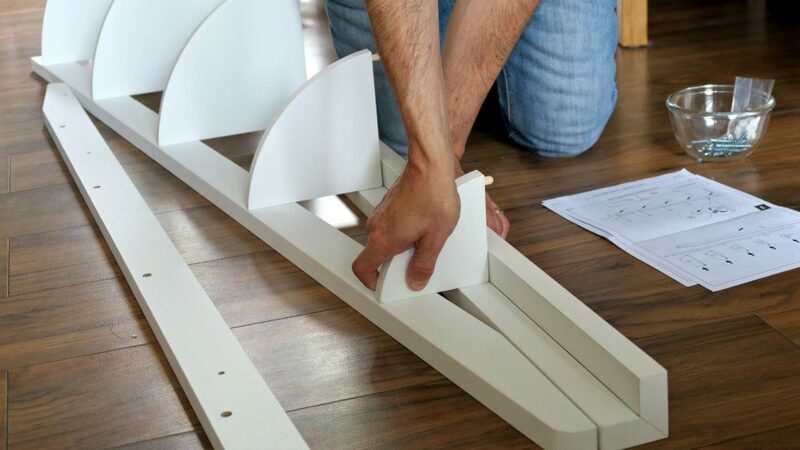 What a great little item – always great to be able to use those corner spaces that might not fit a larger piece of furniture! That’s a great bit of compact space saving furniture and you’ve picked a great spot for it. Lovely! Looks lovely. What a perfect fit for that corner! It looks beautiful & definitely brings some colour to your hallway. Now you can spend hours faffing with it when you get bored!